Inspired by early stereo imaging, Apparitions seeks to dismantle cinematic codes while foregrounding projector and light as sculpture. For this two-projector film, MacKenzie uses colour gels, masking, lens interference and projector movement in tandem with an exploration of binocular disparity, perspective, patterning and the film surface itself to explore the transitional space between image and abstraction, nature and culture. 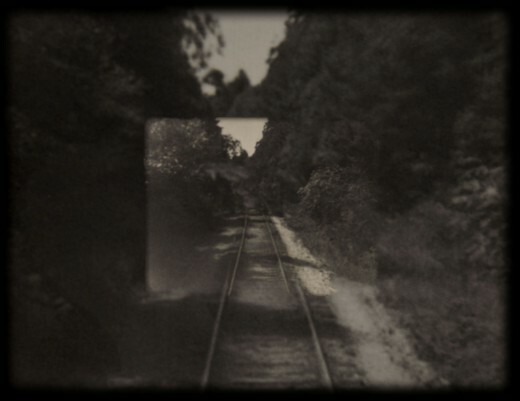 Alex MacKenzie, Apparitions (film still), 2016, image courtesy of the artist.